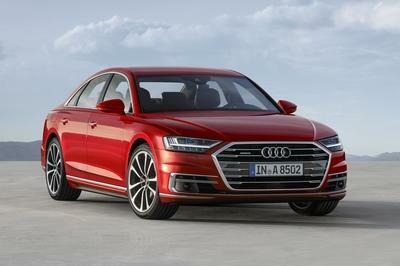 There’s something to be said for a flagship sedan that naturally pulls of a sporty look. 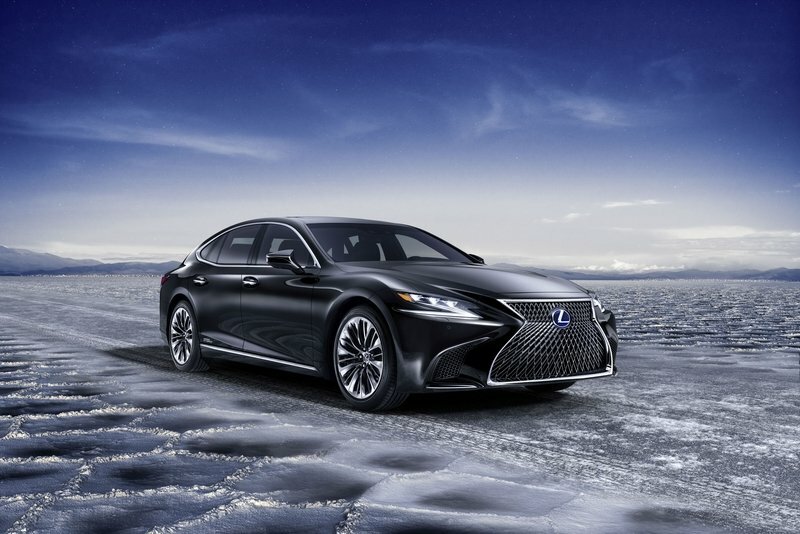 Lexus did a great job in giving the LS 500 F Sport that kind of aesthetic appeal. But as they, just because it’s good, it doesn’t mean it can’t be better. 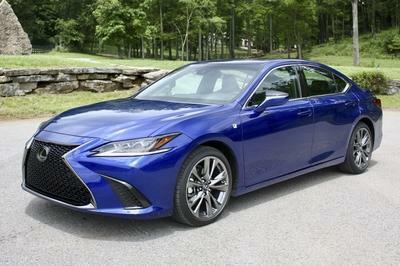 That’s the rationale Lexus took, or at least I think it is, in giving the LS 500 F Sport an even sportier appearance. It’s a fitting name considering what it includes. 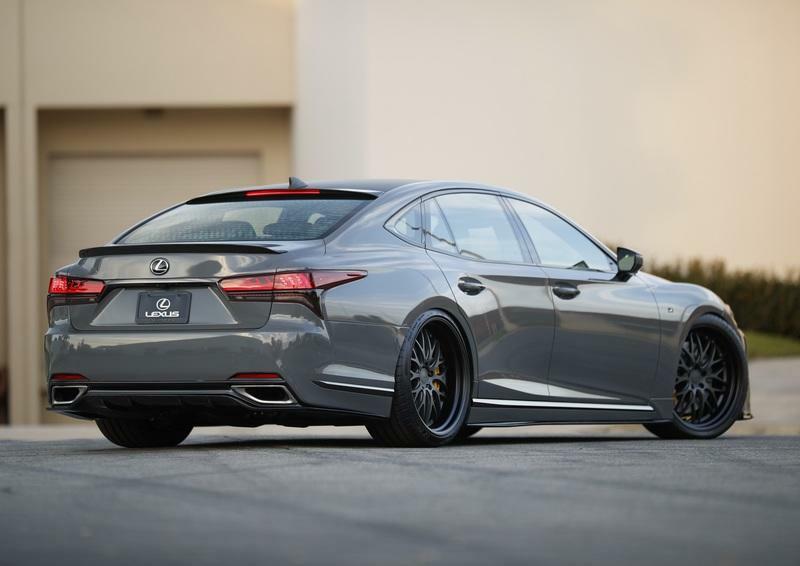 According to the Artisan Spirit website, the aero kit includes a front lip spoiler that’s exclusive to the bumper of the LS 500 F Sport, a side spoiler mounted on the bottom of the side step, and a rear diffuser mounted on the bottom of the rear bumper. A trunk spoiler and a rear roof spoiler are also included. With the exception of the wheels, all these components are also available in carbon fiber. 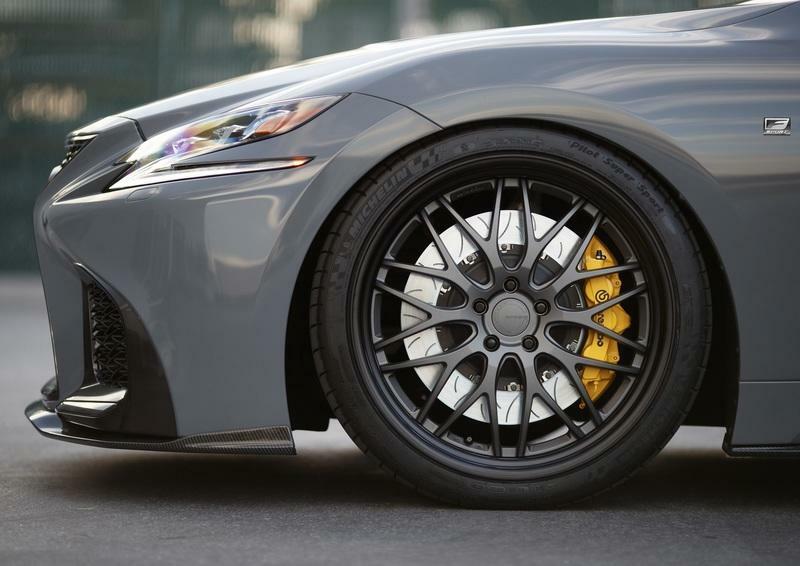 In addition to the wrap and aerodynamic body kit, the LS 500 F Sport Custom sits on a set of 22-inch WORK wheels, all of which come wrapped in Michelin Pilot Sport tires. 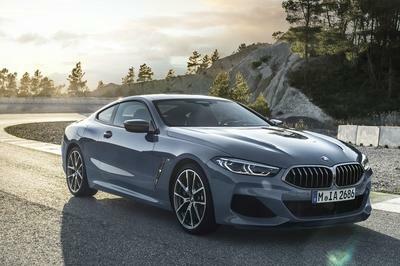 Just behind the wheels is an aftermarket Brembo brake kit made of 15.9-inch six-piston calipers in the front and 15-inch four-piston calipers at the back. Unfortunately, that’s the extent of the upgrades in the Lexus 500 F Sport Custom. 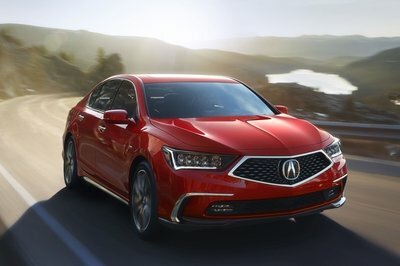 There are no engine modifications to speak of, so the sedan’s 3.5-liter V-6 engine still produces 415 horsepower and 442 pound-feet of torque. 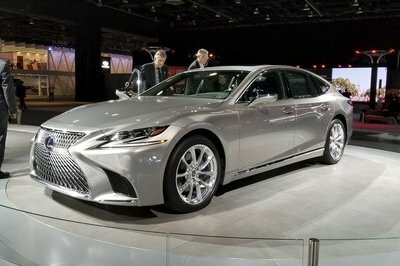 It probably would’ve been better if Lexus did a little tuning of the engine, or sourced someone else to do it. But we’re not complaining because we know the purpose of this custom build. 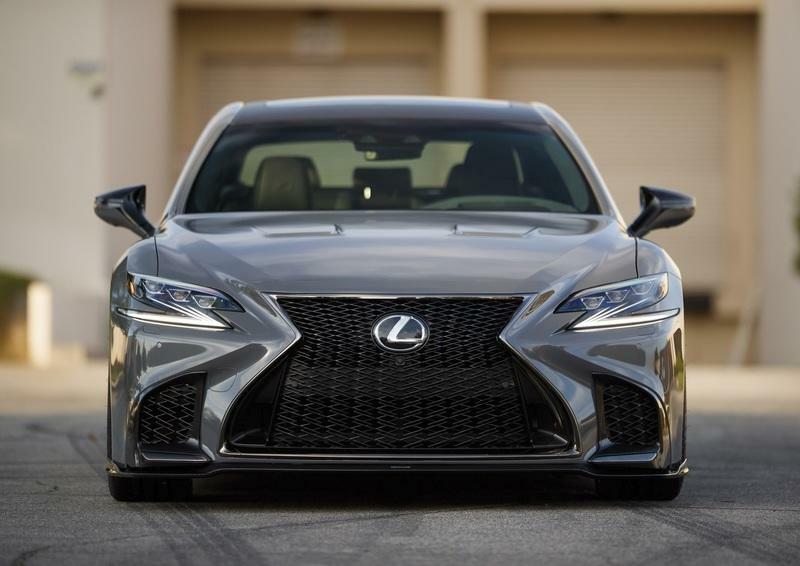 The Lexus 500 F Sport Custom isn’t about showcasing the sedan’s V-6 engine and the many tuning possibilities it offers. It’s about showcasing the car itself. We can appreciate that. 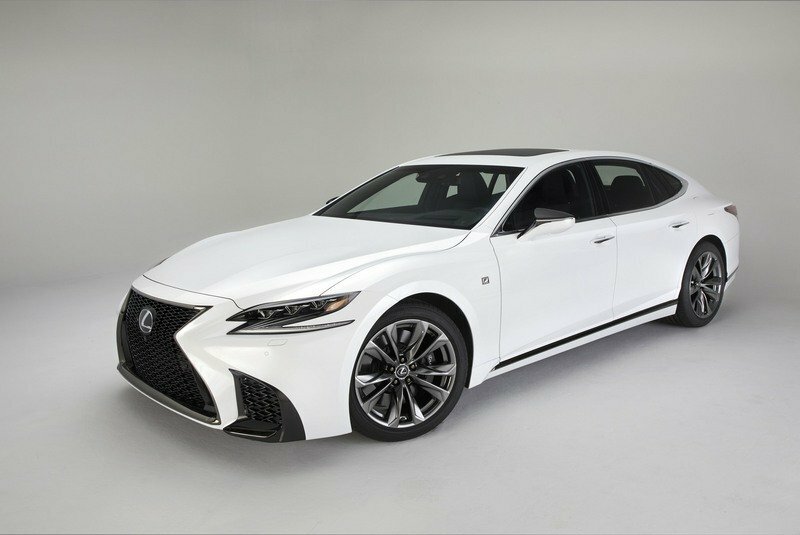 Read our full review on the 2018 Lexus LS 500 F Sport. 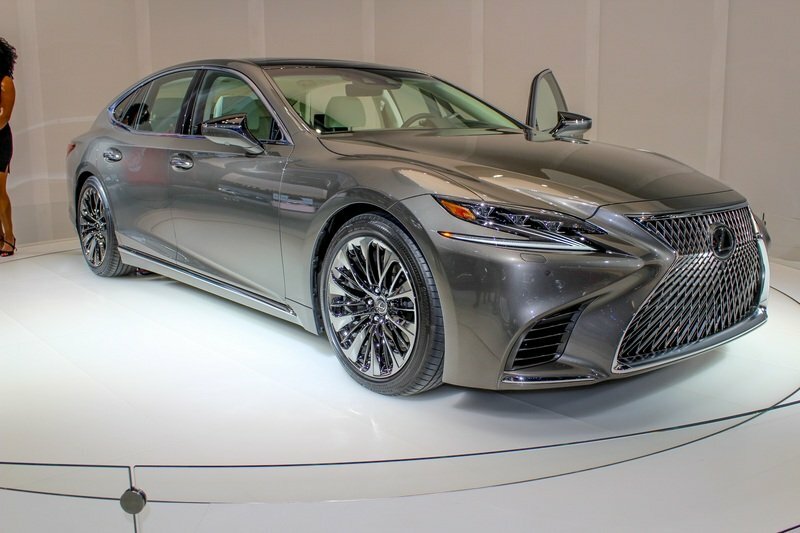 Read our full review on the 2018 Lexus LS 500h.